All Rapunzels know very well that maintaining and growing long hair requires a lot of patience and care. Keeping long hair healthy and shiny can be demanding and challenging. Long hair is old hair, damaged by weather, styling products, blow dryers, hair dyes, sun and salt, over a long period of time. It’s prone to thinning due to its weight. The fact that we usually push it back with hair ties and bobby pins, in order to keep it out of the face and in control, can also contribute to hair loss. However, long hair which is greasy, damaged, and unkempt will make your whole appearance dishevelled. Not good. Here is what you can do if you want to have long, but still good looking hair. Invest in these five products and regularly take care of your hair. 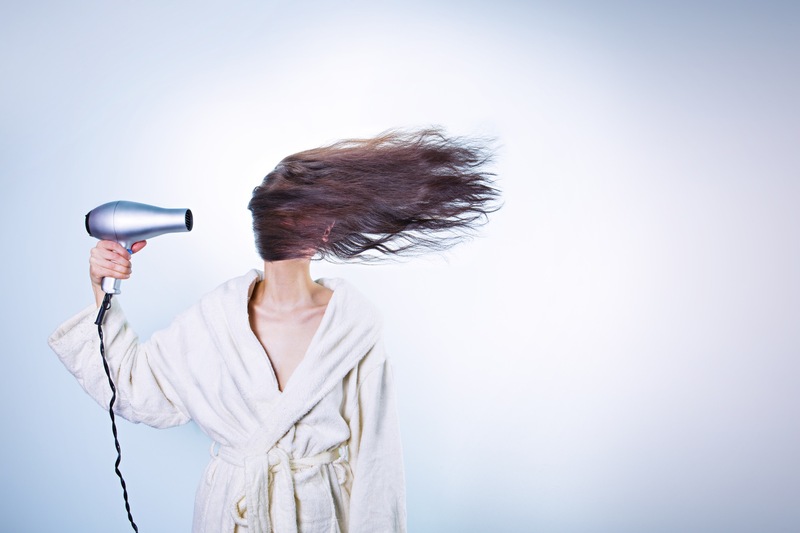 Blow drying your hair can cause a considerable damage. Heat is not a friend. It’s better to let it dry naturally, however, if it’s cold and you need some additional volume or sleekness, buy a really good blow dryer. Choose the one which has: 1) ceramic heating 2) ionic drying 3) different speed and heat settings. Dry shampoo is one of the hair products you need if you have long hair. Combing and washing your hair can take a lot of time and energy. Nobody likes greasy roots, but hey, our lives tend to get hectic these days. That’s when a dry shampoo comes to the rescue. It will keep your hair looking good on the days when you’re just too busy. Find a quality deep conditioner. The conditioner which you don’t need to use every time you wash your hair, but the one you apply on those special occasions when your hair needs to stand out, or when it’s just too damaged for its own sake. A mighty conditioner doesn’t even need to be expensive. Read the reviews, ask for recommendations, and try out different samples until you find the ONE. First thing first – don’t comb your hair while it’s wet, as it is more prone to damage. It’s the best to comb it with the hair conditioner or mask on. The next step is to buy a wide-tooth comb which will help you untangle your luscious mane. Long hair needs vitamin, minerals, and essential nutrients in order to grow long and strong. Vitamin supplements in hair pills may provide you with the ones that your hair is missing. One of the hair supplement products is CatalaseNow, based on the enzyme Catalase which may protect your hair from the toxic effect of hydrogen peroxide. What’s more, CatalaseNow contains herbal, plant and mineral additives which may support thicker and healthier hair. How do you take care of your long hair? This entry was posted in hair care and tagged best hair products, best hair supplements, catalase, catalase for hair, good hair products, hair products for long hair, hair products you need to have, hair supplement vitamins, hair supplements, long hair care, make fuller hair on November 24, 2016 by Nina Ivanovic. What Constitutes Healthy Hair Pills? Claims based on positive user results and preliminary research. Not yet scientifically verified. COPYRIGHT © 2019 CatalaseNow. All rights reserved.